My friend Maegan made a magazine. It is a work of art, the way I remember her home being: warm and full of noise and beauty and smelling like fresh biscuits and gravy (not the magazine, I guess, but the home). Or maybe it reminds me of her daughters’ room more than the whole house, because no one roars in this magazine or brandishes swords or leaps from a high structure just because. But there are clever stories and poems and drawings of birds, and plenty of talk about books. This is a magazine by my friend Maegan. It is a magazine for girls. You will love it. This first issue, the spring issue, is the one I’m talking about today, and I’m tempted to describe it in lists: lists of the excellent people who contributed to it, lists of the lovely and varied content you’ll find inside. I had the joy of reviewing a book I haven’t featured on the blog, and both Lydia and Sarah contributed reviews of their favorite books. But maybe I should tell you more about what (and why) Wildflowers is. 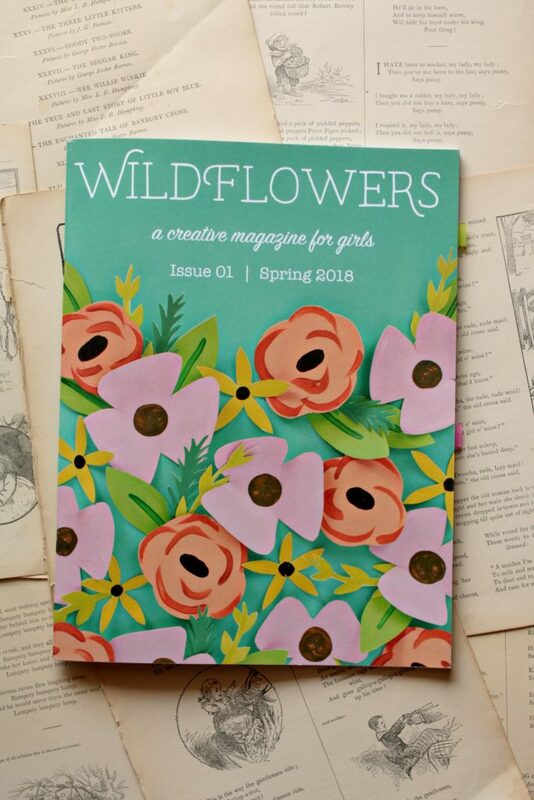 Wildflowers is a quarterly magazine centered around truth, beauty, and goodness, written for girls aged 8-12ish (but I bet you’ll snuggle up with it sometime, and your little ones will want a turn admiring the little chicks and coloring pages). 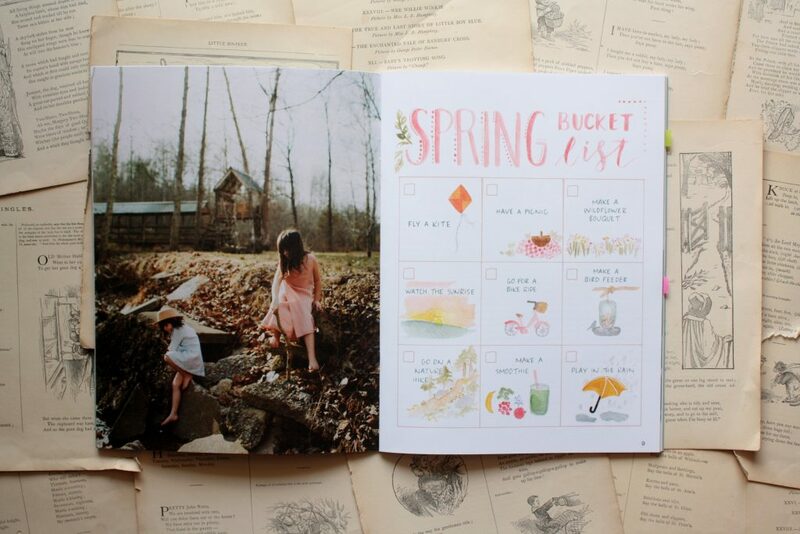 The articles range from biography to short story, with everything from poetry to hand-painted stationary to DIY projects sprinkled in between. (Future issues will have even more content, including nature projects and how-to lessons.) 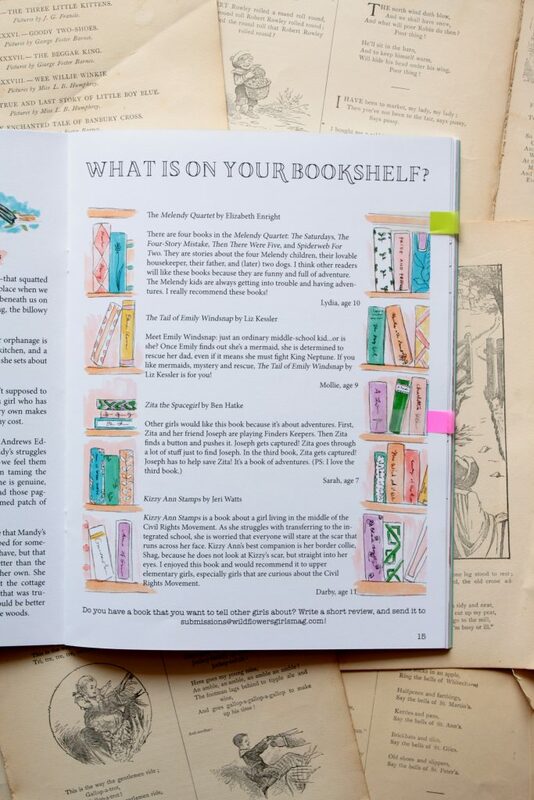 The illustrations are lovely and the layout so fun! And the price is oh-so-reasonable! 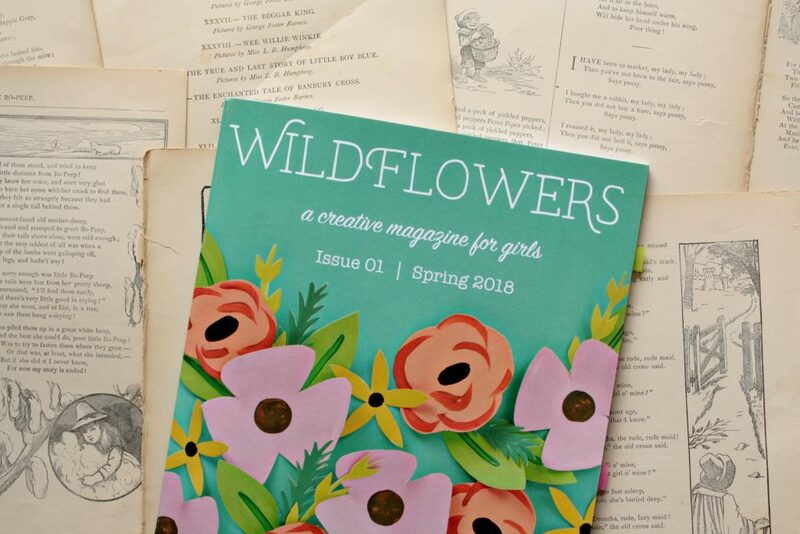 But one of you won’t have to worry about that price at all, because I get to give you a copy of the spring issue of Wildflowers for free (oh, joy!). You can all enter to win that one below, and you can head over here to pre-order a copy of summer issue. 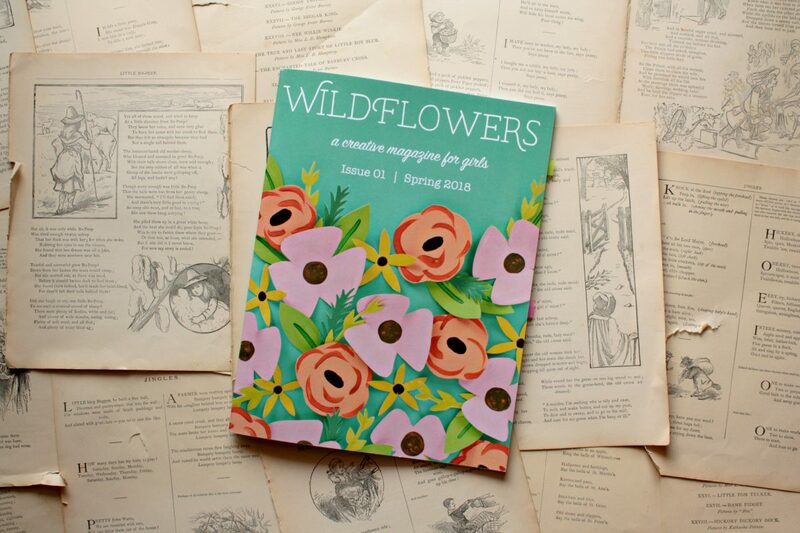 Enter to win a free copy of wildflowers! To enter, fill in as many options as you like in the widget below. The giveaway closes on Friday, June 29. After that, the winner will be randomly selected and notified by email. Good luck!